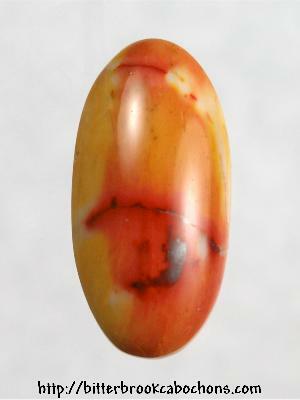 This little Mook Jasper oval would be perfect for a ring! 21mm x 10.5mm x 5.5mm. Weight: 9.35 carats.